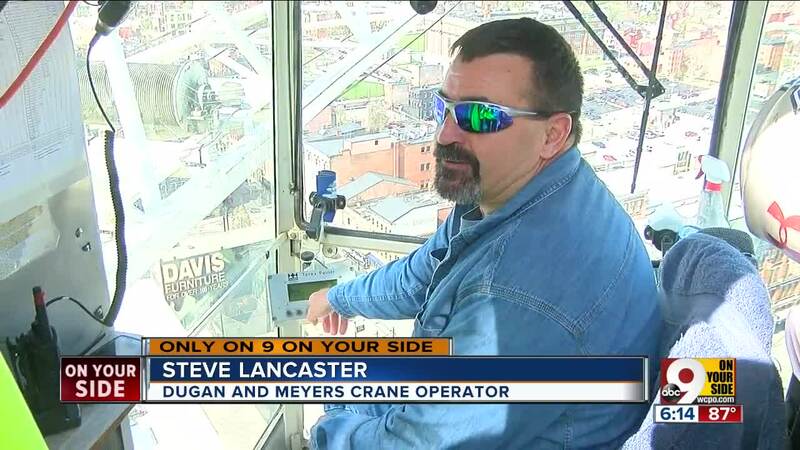 CINCINNATI -- Steve Lancaster climbs 14 ladders to the top of a crane every morning when his workday begins and stays there until quitting time. Oh, and he's afraid of heights. 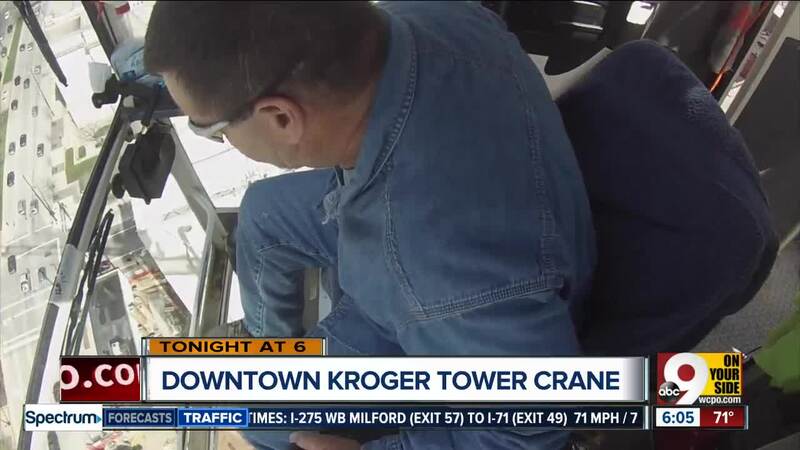 It's a fear that six years as a crane operator hasn't been able to cure, but it matters less than one might think once he's situated in the operator's cab, 260 feet over Cincinnati every morning. "It's kind of neat, you know, looking out and seeing all the old churches and buildings," he said. 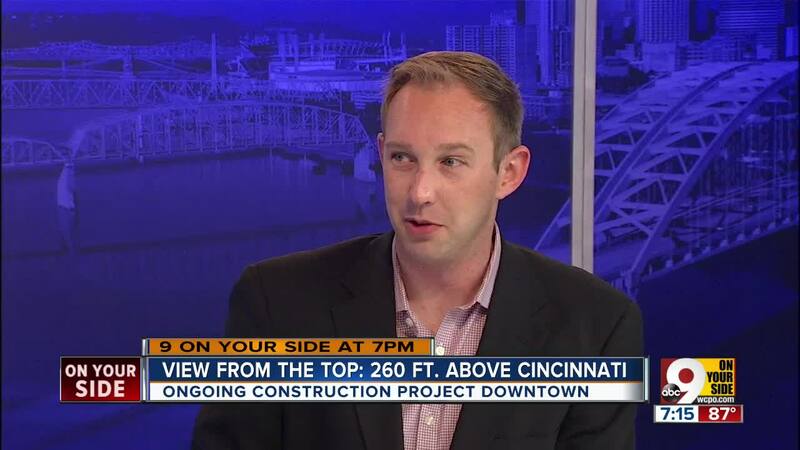 Lancaster's daily ascent to the top of the tower crane is part of an ongoing construction project in downtown Cincinnati. The end result, he said, will be a brand new 18-story building with a parking garage, a Kroger at street level and apartments the rest of the way up. The work it will take to get there involves him using the crane to pour a lot of concrete. The tools of Lancaster's trade are simple: Heaters and fans to keep the windows of his cab clear; window cleaner; an air conditioner; binoculars; and a radio to keep in touch with his coworkers on the ground below. "Ground guys" help Lancaster keep his large-scale job precise, he said. "It makes a big difference if you've got a good ground guy," he said. "You can see (from up here), but you can't focus right in. He's my eyes, so that makes a big difference. That helps a bunch, especially on days when it's windy." And although he still isn't a fan of the great height at which he works, Lancaster said having a panorama view of the city can be useful. "I know which way to go home," he said. "It helps. Trust me."